Zanu-PF has admitted that the government's monetary policies have failed and that it fears the worsening economic crisis could lead to riots. The ruling party's committee on the economy made the admission during Zanu-PF's annual conference at Mzingwane High School in Esigodini, Matabeleland South, which ended yesterday. 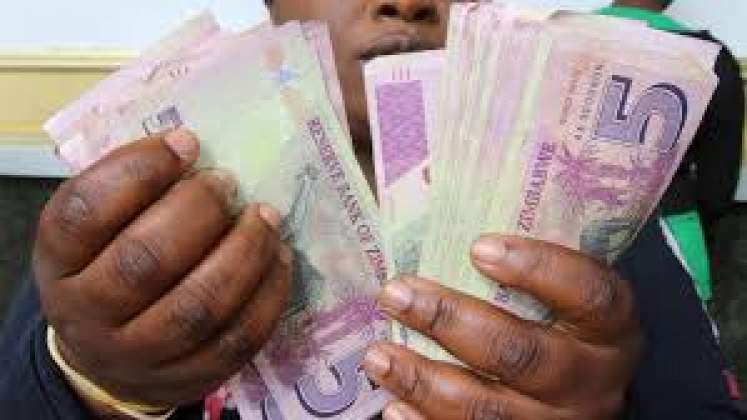 Christopher Mushohwe, who chaired the committee, said it was high time the government scrapped the multicurrency system because it was causing untold suffering among the poor. "The multi-currency systems are not working," he said in reference to the emergence of the three-tier pricing system with a number of businesses preferring the United States dollar to bond notes. "The government should address the cost of living adjustments." The bond notes, which were introduced in 2016, have significantly lost value in the last three months after the Reserve Bank of Zimbabwe ordered banks to separate foreign currency-denominated accounts from those based on real-time gross settlement (RTGS) balances. Exchange rates between the surrogate currency and the US dollar plummeted, forcing shops and pharmacies to start charging in foreign currency. However, the government continues to insist that the bond note remains at par with the US dollar. Mushohwe said in light of the economic difficulties brought about by the currency chaos, the government must ensure that tobacco farmers were paid in foreign currency. He urged the government to take stern measures against cash barons and revoke licences of retailers charging in foreign currency. Meanwhile, in its central committee report on national security, Zanu-PF said there was likelihood that the economic crisis could spark protests against the government. "The skyrocketing prices of basic commodities and continued unjustified shortages of other goods presents a security challenge, which has the potential of causing riots which can be manipulated by the restless unemployed and politically disgruntled opposition elements," read the report. "The national security (cluster) will endeavour to discern whether this trend is not an economic sabotage strategy by some detractors aiming to destabilise the country." Last month, the MDC Alliance led by Nelson Chamisa organised a protest in Harare demanding that President Emmerson Mnangagwa's government must arrest the economic collapse. However, despite the acknowledgement of the economic rot, the Zanu-PF Esigodini jamboree was characterised by heavy spending and flaunting of wealth by the ruling party's elite. On Friday, the Mzingwane High School grounds were decorated with an array of top-of-the-range vehicles and a number of delegates were dressed to kill. Over 500 livestock were slaughtered and these included cattle, chickens, goats, sheep, guinea fowls and turkeys. Across the Bulawayo-Beitbridge highway, it remained business as usual as residents in the dusty Esigodini township continued to hustle for survival. The situation was also the same at Mawabeni rural service centre, a few kilometres from the venue of the conference. There was no sign that residents took notice of the indaba. A shopkeeper at Mawebeni, Nobuhle Moyo, said the Zanu-PF conference did not have any impact on their business. "They came to Esigodini to do their things alone without us. It's a no-go area for us. We didn't benefit anything from it;" she said. Moyo said people were going on with their everyday life as if nothing was happening. "People are busy tending to their fields. They are not even bothered because they are not part of the event. We are minding our own business," she said. Another villager, Nkosilathi Khumalo, said Zanu-PF did not respect the people of Esigodini. "We don't care that we are not part of the conference," he said. "These people, instead of travelling all those long distances to converge here, should have used those resources to cater for social services and pay striking doctors. "How can right-thinking people come to wine and dine amongst hungry and dying citizens? "They don't care about us," he said.